Welcome to Varsityedge.com – Varsityedge provides information for parents, student-athletes, & coaches on the college recruiting process and what it takes to play at the next level. Here you will find information on athletic scholarships, recruiting, financial aid, recruiting rules, college applications, visiting schools, life as a college athlete, coaches/player interviews, NCAA rules, and much more. Varsityedge.com is also the home of The Making of a Student-Athlete – Succeeding in the College Selection and Recruiting Process for High School Athletes, Parents and Coaches. Varsityedge.com is your athletic recruiting resrouce for all student-athletes, parents, coaches, counselors, and anyone else looking for information on the college athletic recruiting process. 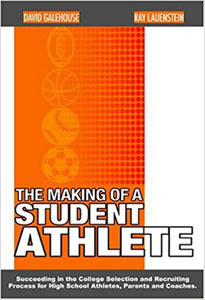 The Making of a Student-Athlete (now in it’s 14th edition! revised in 2017) is a 241-page guide for high school athletes, parents, & coaches who wish to learn the complicated college athletic recruiting and application process. 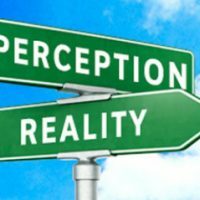 Whether you are a parent, a blue-chip athlete, an aspiring scholarship athlete, a walk-on prospect, a coach or guidance counselor wondering how you can help yourself or your players, The Making of a Student-Athlete will guide you through the archaic world of the college selection and athletic recruiting process. The Making of a Student-Athlete evaluates every factor that plays a role in your recruiting process, from the college applications, matching your skills to different schools, putting yourself in a position to be recruited, what college coaches look for in recruits, NCAA rules, athletic scholarships, financial aid, contacting coaches, resume writing, camp, showcase, and tournament participation, and much more. 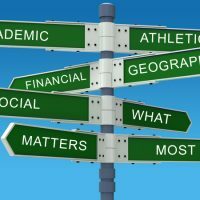 The Making of a Student-Athlete has been used by parents and students at all levels to help them communicate with college coaches, find schools that are a good match, and secure thousands of dollars in athletic scholarship money, academic grants, and additional financial aid. The Making of a Student-Athlete – Succeeding in the College Selection and Recruiting Process for High School Athletes, Parents & Coaches. http://www.varsityedge.com/wp-content/uploads/2016/03/capeleague.jpg 343 507 Varsityedge http://www.varsityedge.com/wp-content/uploads/2016/04/Logo_April_27th.jpg Varsityedge2017-11-07 22:05:062018-12-19 15:13:36How do I get recruited to play college sports? 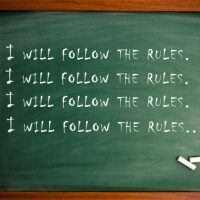 The NCAA has recently created two classifications of eligibility enrollment that serve students wishing to play NCAA D1 or D2 athletics, and students who are undecided or will play NCAA D3 athletics. With the impending blizzard rumored to be dumping 24 inches of snow on New England this week, thousands of college athletes who play spring sports are soon going to be wondering if they will have a season. 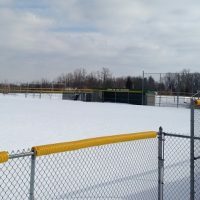 http://www.varsityedge.com/wp-content/uploads/2017/03/snow-on-field.jpg 299 500 Varsityedge http://www.varsityedge.com/wp-content/uploads/2016/04/Logo_April_27th.jpg Varsityedge2017-03-13 20:13:402018-12-19 15:14:18How Weather and Climate Can Affect Your College Athletic Recruiting Process. Enrolling in college to play athletic at the NCAA D1 level? Well, there is a new academic standard for which the NCAA Eligibility Center will be judging you. As of August 1, 2016, in addition to your 16 core courses you must complete in high school, you now need at least a 2.3 GPA (up from 2.0) to be eligible as an NCAA D1 athlete. If you can’t make a 2.3 GPA, then you need at least a 2.0 GPA to be considered an “Academic Redshirt.” What’s that mean? It means, you can receive athletic aid and can practice with the team but may not compete in games during your first year. The Ivy League is the only basketball conference in the country that plays its games back-to-back on Friday and Saturday nights to minimize missed class time. Out of roughly 11,500 Division 1 football players, only 2% will even get drafted by a pro team. This means on average, 98% of all college football players can only hope to get a degree and an education by playing college football. When Wichita State won the 1989 college world series, they did not have one player on the team with a full baseball scholarship. Beginning in the fall of 2016, FAFSA will be available starting on October 1st. For the next two years, FAFSA aid will be based on tax year 2015 income for 2 years, 2016-17 and 2017-18. This is known as the prior prior phenomena. Asset protection allowance is being reduced to $6,300 from $28,200 in fiscal year 2016. Translated in English, you will have more of your assets evaluated by FAFSA. The NAIA recently launched a new eligibility center website. The NAIA consists of 300 colleges and universities throughout the United States and Canada. The new website allows students to register with the NAIA for eligibility as well as build a custom profile and connect with NAIA coaches. The NCAA has changed their policy in official visits. While the limit of 5 official visits still exists for Division 1 colleges, there is now no limit as to how many official visits you can take at Division 2 colleges. No changes to official visits at Division 3 colleges, it is still unlimited.